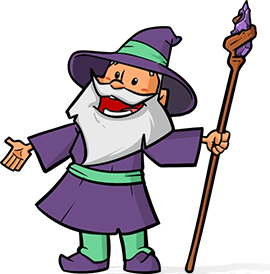 A user on the Gravity Forms Support Forums posted today asking if it were possible to setup a shipping fee that was only applicable if the order total was over a certain amount. As of Gravity Forms v1.6.4, this is now possible! The form total (aka order total) may not be available for conditional logic; however, Number fields are and as of Gravity Forms v1.6.4, Number fields have been enhanced to support calculations. This tutorial will demonstrate how Gravity Form calculations work and how you can use this new feature to setup conditional shipping. I’m going to assume you already have your form setup with products, options, etc. The next step will be to add a Number field. Open up the settings for this field and click “Enable Calculation” to reveal the “Formula” textarea. Now comes the tedious part. 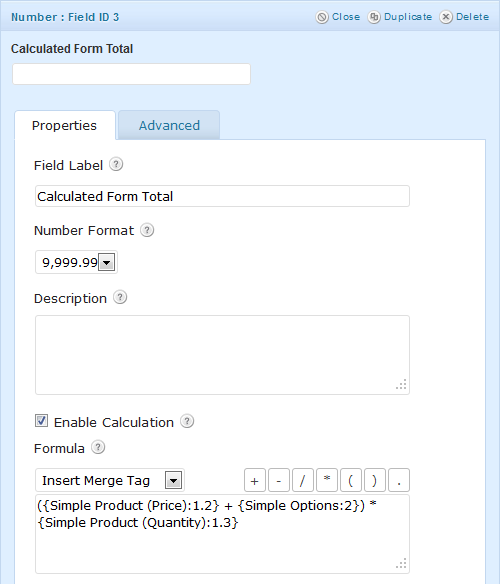 In order to get the form total you will need to calculate each product’s total and then add them together. To get a product’s total, you must add the product price to the product options price and then multiply this sum by the product quantity. You then add up each product’s total to get the form total. For simple forms this is no problem. For larger forms… have fun. Now that you have your Number field setup as a calculation, you’re ready to configure your Shipping field’s conditional logic. 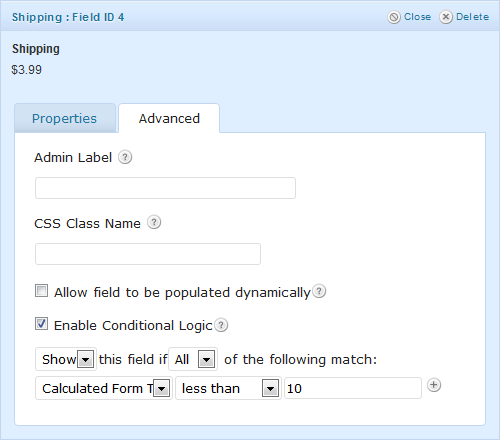 For this example, we’ll configure the Shipping field to only display if the “Calculated Form Total” is greater than 10. So you’ve tried it out and it’s amazing, but… you probably don’t want to leave your Calculated Form Total field visible for users to see. Just add “gf_hidden” as a CSS class for this field on the “Advanced” tab. Presto strango! That’s a wrap! What do you think? Will you use this technique on your own forms? When I use this, the value calculated and shown to the user on the front end is correct, but the value stored in the database Entries is not? My setup: I have a dropdown product (MBSR Course) with 3 options, and a field (Current Exchange Rate) that I populate with a custom function. For example, if the user selects a product with a value of 1000, and the current exchange rate is 0.0715, the total shown on the form is 343.2 (which is correct), but that same field stored in admin when the form is submitted, is 461000?? Hi Amanda, it sounds like you’re using all default Gravity Forms functionality. 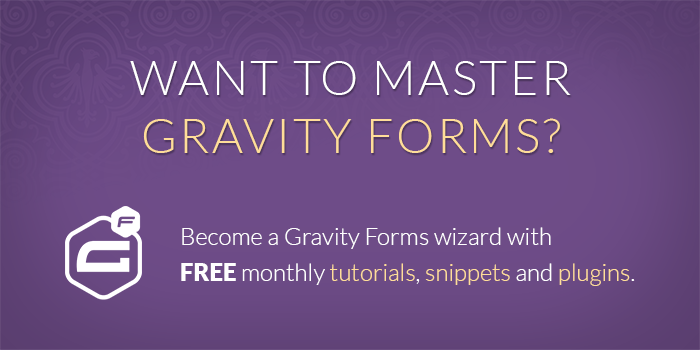 If you’re using the latest version of Gravity Forms and still having issues, I would reach out to Gravity Forms support. Trying to set it up so that when 1 item is sold they are charged once for shipping. If they order 2 items, I need to double the shipping amount and so on. So add 38 $$ for every item purchased. Hi Doug, it sounds like you want calculated shipping rather than conditional shipping. Try this snippet: https://gist.github.com/spivurno/7356056 You’ll just need to add a Calculation field to your form and set it as the “field_id” in the snippet config. It will automatically be converted to a shipping field on submission. Great workaround… Looks like this is exactly what I need as well. Once I change the “feild_id” to be the calculation field from our form, does this new file go in my file structure at the root level, in the gravity form plugin directory or elsewhere? Im having issues with this. i have it setup so that when a customer chooses products with a total of greater than 1 or less than 500 the shipping shows up, and it works great BUT when the form is sumbitted even tho the total value is greater than 500 the shipping value that was hidden and not counted into the total now shows up in the total after submission and in the email sent. Any ideas as to why this happens? Hi Micke, could you send me an export of this form? Issue came back, this method simply doesnt work for me, and i suspect that it has something to do with currencies and the way they are calculated when the form is submitted. After a lot of troubleshooting i found out that if the calculated value is above 5000 the shipping works correctly, as if when you submit the form the 500 value turns into 5000 and checks for that instead. Would love it if someone else had the same issue and how/if they resolved it could share the solution. I just tried with the simplified form you sent and it works as expected on my end. I would try doing a theme/plugin conflict next.